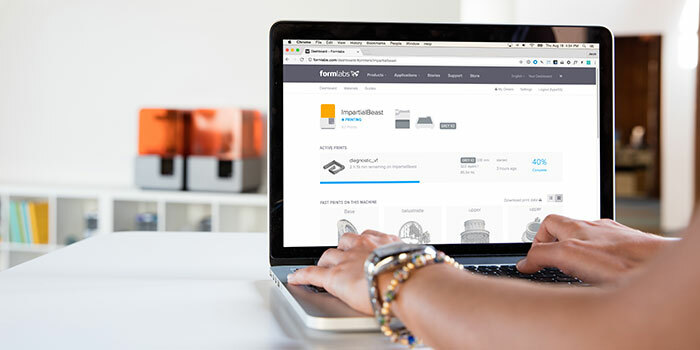 Because everybody is using their 3D printer in a different manner, we have created this customizable training. This training focusses on your specific needs. A short introduction to 3D printing is combined with specific requested topics, which you can discuss with our specialist to create your own program. This allows you to focus on your own experiences and necessities. * For customized training sessions, we offer the possibility to attend a training in our showroom in Ham or on-site. For on-site training sessions, a travel cost of € 0,41 (ex. VAT) will be added. The timing of this training is to be determined mutually. The duration is determined based on the topics. To guarantee the quality of this training we have set the amount of participants to 10 at the utmost. This training programm does not have a steady program, in comparison to our other trainings. Underneath you can find a summary of possible topics. The training will be dedicated towards the topics you want to be discussed, with additional basic training topics. How do I unpack my 3D printer? How do I calibrate my unit? How do I load and unload filament? What kind of files do I need to print in 3D? To these and more questions, we will provide a concrete and correct answer. Which filament type should I use for my prints? Which settings do those filaments require? What is the optimal printing temperature for my materials? Which support is best for my prints, and where do I place it? We will help you when looking for the right filaments for your applications. What is the best print speed when printing? Which nozzle do I need to get the best results? What are the differences between the nozzle diameters? What does a print cost? What are the best adhesion materiels? These and more questions will be answered step by step. Is it necessary to post-process my prints? What are the different manners of post-processing? What is the best way to remove the support materials? Are you interested in a customized training? Please contact us. Together with our experts, a customized program is created. Together we will also look for a suiting date and location for both parties. Contact us for a customized training. Because everybody is using their 3D printer in a different manner, we have created this customizable training. This training focusses on your specific needs. Are you interested in the possibilities that 3D printing has to offer? What is the history of 3D printing, what materials and what techniques are there? This initiation to 3D printing will answer all those questions. Combine the comfort of an on-site installation with a targeted, extended training. Did you purchase an Ultimaker 3D printer in the past 6 months? Take a look at this course then!